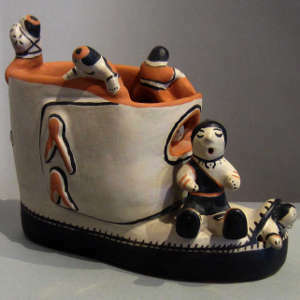 Rita Lewis was a potter from Cochiti Pueblo, daughter of famous potter Ascencion Banada. She married Ivan Lewis, son of famous Acoma potter Lucy Lewis around 1946. Rita had learned pottery making from her mother but didn't start producing any real amount of pottery until 1959. Ivan didn't learn pottery making from his mother, he learned it from Rita. They started making bowls and animal figurines together around 1971, then branched into storyteller figurines around 1973. 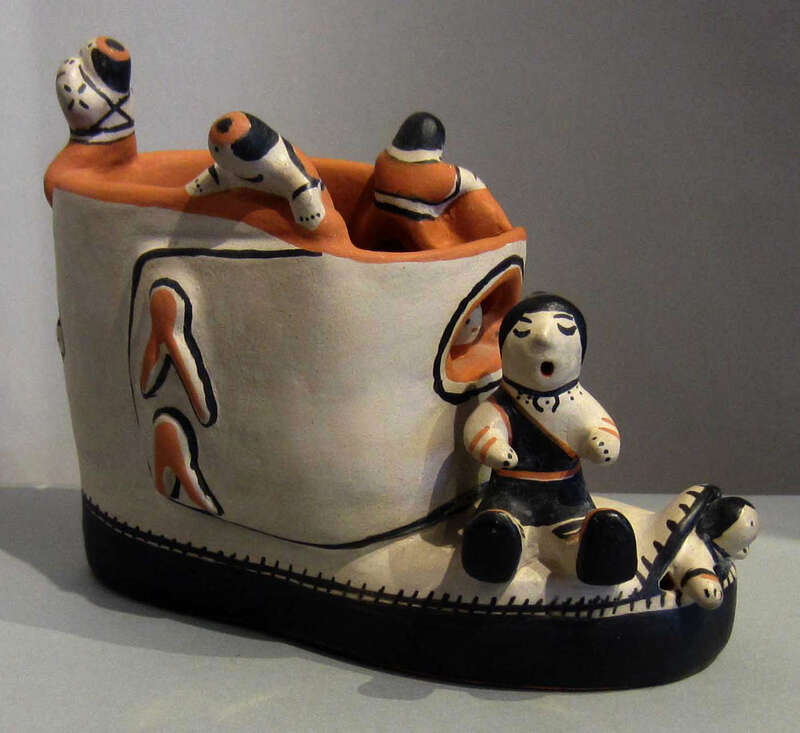 Rita continued making storyteller figurines after Ivan's death, then she passed away in 1991.